Women are taking the reins in modern rock. This year has been full of chart-topping release from female artists who drive music forward. Sometimes overlooked, female-fronted rock bands are making some of the most challenging, aggressive and relevant songs on the rock charts. 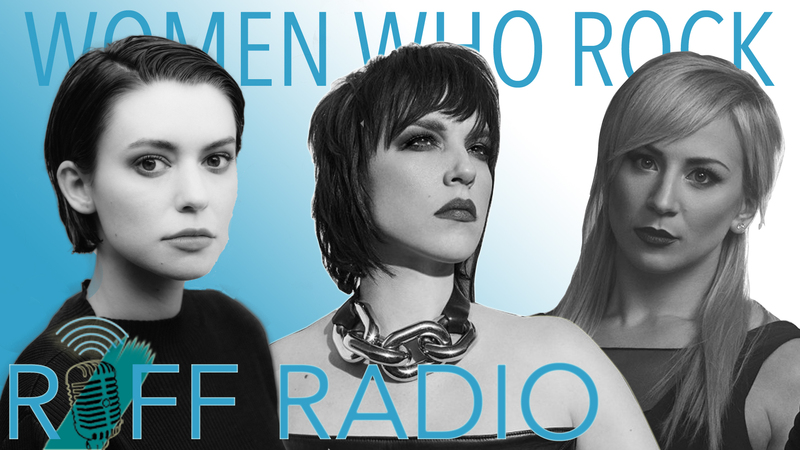 On this episode of RIFF RADIO, we talk with three women blazing the trail in their respective genres. Each came from different backgrounds and overcame their own set of challenges. What do they have in common? Halestorm‘s Lzzy Hale, Skillet’s Jen Ledger and singer-songerwriter Meg Myers all rock. 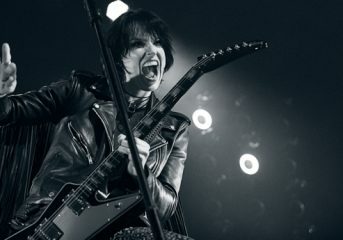 Lzzy Hale is arguably the first lady of metal-influenced modern rock; a trailblazer fronting Halestorm for more than 20 years. Touring wasn’t always easy for Hale in Halestorm’s early days. She struggled to be accepted as the “girl in the band.” Halestorm struggled to get signed, and most of the pushback was because she she sang lead, she recalled. Those days are long gone and Halestorm is churning out hit after hit. The band just released its fourth studio album, Vicious, and is gearing up to head back out on the road with In This Moment and New Year’s Day. All three bands are fronted by women. 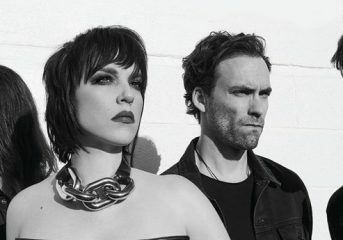 Halestorm plays the Warfield in San Francisco on Aug. 23. Jen Ledger is a drummer and singer in modern rock band Skillet. The band found Ledger after she emigrated from the U.K. to Wisconsin. Ledger is stepping out from behind the kit as a solo artist, while still handling drumming duties for Skillet. Her debut single, “Not Dead Yet,” was inspired by a conversation Ledger had with Skillet guitarist Korey Cooper about the panic attacks she was having. 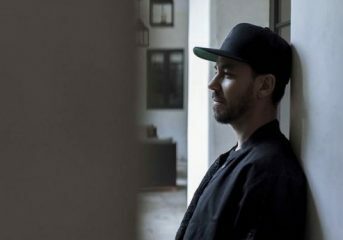 After releasing her debut EP, Ledger is ready to get back on the road and finish her forthcoming full-length record. Meg Myers grew up in Tennessee and moved to Los Angeles to pursue a career in music. Myers worked as a waitress while she pursued her passion. She releasing her debut EP in 2012 and followed it up with 2014 debut full-length, Sorry. As she prepared to write and record her follow-up, Myers ran into creative differences with her label. So she left. The first single on her new album is “Numb,” a tongue-in-cheek kiss-off to her former label that also doubles at an empowerment anthem. Myers hits the road this fall in support of her new album, Take Me To the Disco, including a stop at San Francisco’s August Hall on Oct. 16. Follow Mike DeWald at Twitter.com/mike_dewald.